The Coca-Cola Company introduced to the world a new flavored Coke known as Coca-Cola Cherry. Although Coca-Cola Cherry was introduced to test audiences at the World’s Fair in 1982, the cherry flavored soda didn’t hit the shelves until 1985. Coca-Cola Cherry was the third Coke variation, with regular Coke and Diet Coke coming before. 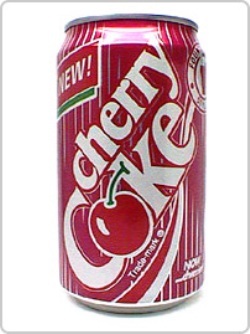 Diet Cherry Coke came into the world in 1986; in 2005 the drink was renamed to Diet Coke Cherry. The first Anti-smoking TV commercial aired, featuring Yul Brynner who had recently died of lung cancer. I totally remember when the commercial aired. To be perfectly honest, I think the ad was better than the stupid ones that are on TV today. To see someone who had just died talking about what killed them – it was pretty moving. Of course the anti-smoking commercial with that old lady smoking through the hole in her throat was pretty moving too. Brynner died of lung cancer on October 10, 1985 (the same day as Orson Welles, his co star in The Battle of Neretva) in New York City. Knowing he was dying of cancer, Brynner starred in a run of farewell performances of his most famous role, The King and I, on Broadway from January 7 to June 30, 1985, opposite Mary Beth Peil. He received the 1985 Special Tony award honoring his 4,525 performances in The King and I. Throughout his life, Brynner was often seen with a cigarette in his hand. In January 1985, nine months before his death, he gave an interview on Good Morning America, expressing his desire to make an anti-smoking commercial. A clip from that interview was made into just such a public service announcement by the American Cancer Society, and released after his death; it includes the warning “Now that I’m gone, I tell you, don’t smoke.” This advertisement is now featured in the Body Worlds exhibition. 50 queries in 1.336 seconds.